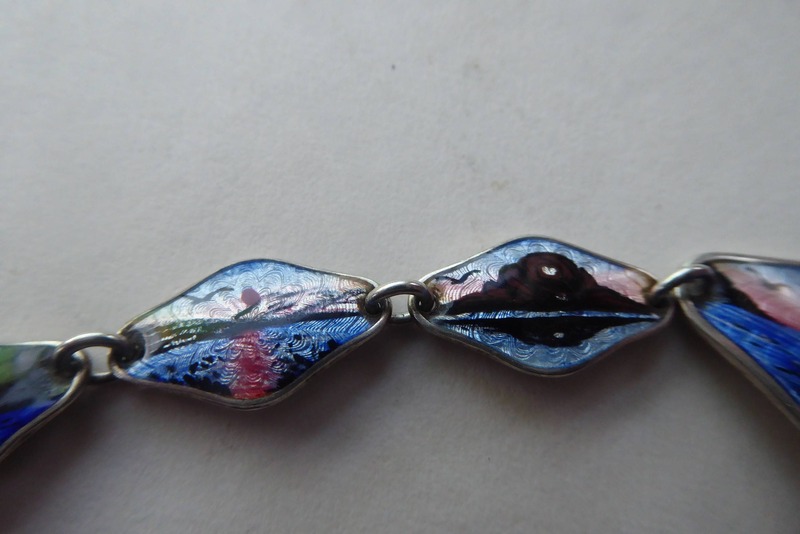 This is a very pretty little Norwegian silver brooch dating to the 1950s or early 1960s. It is very delicate in structure and consists of 9 little silver diamonds all linked together. 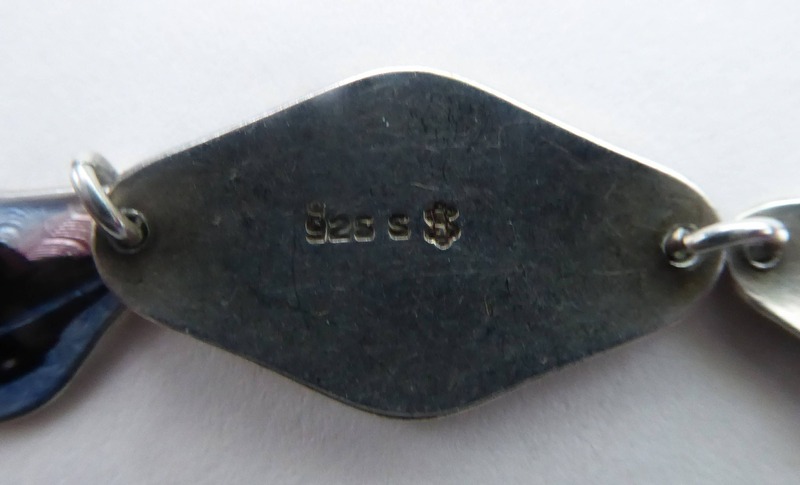 There is a central larger panel which has the Norwegian silver mark on the back - and also the maker's monogram, which I have sadly been unable to identify - but sure that collector's of these bracelets will be familiar with the mark. The panels are as follows left to right: a silhouette of a reindeer with a pink and blue sky behind' then a fjord with a setting sun and two birds in the sky; another simple seascape with the sun falling down behind the horizon and more silhouettes of birds in the sky; a mountain peak on the riverfront with one bird in the sky. Then we have the larger central panel - this shows a Viking ship with red and white striped sail more pink and blue tones in the sky and the silhouette of a little seagull in the distance. 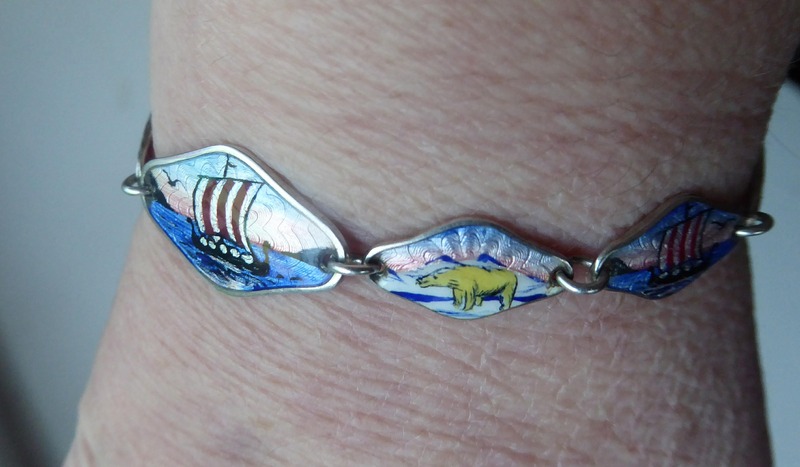 Following the bracelet around is an image of a polar bear; next is a smaller galleon; a reindeer pulling a sledge and finally a little mountain on the waterfront (as before). The clasp is a ring-shaped one - and there is also a tiny and quite fine safety chain. 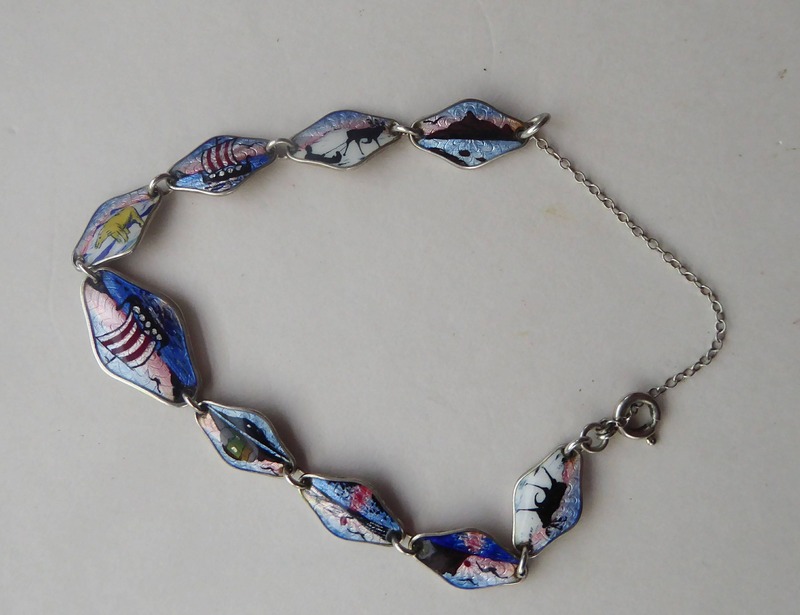 The bracelet is in good vintage condition and there are no damages to any of the enamel panels. Because of the safety chain, it is difficult to straighten out fully to measure the length - I can pop it on my wrist so will fit an average sized wrist - it is probably about 7 1/2 inches (19.5 cm) in circumference. 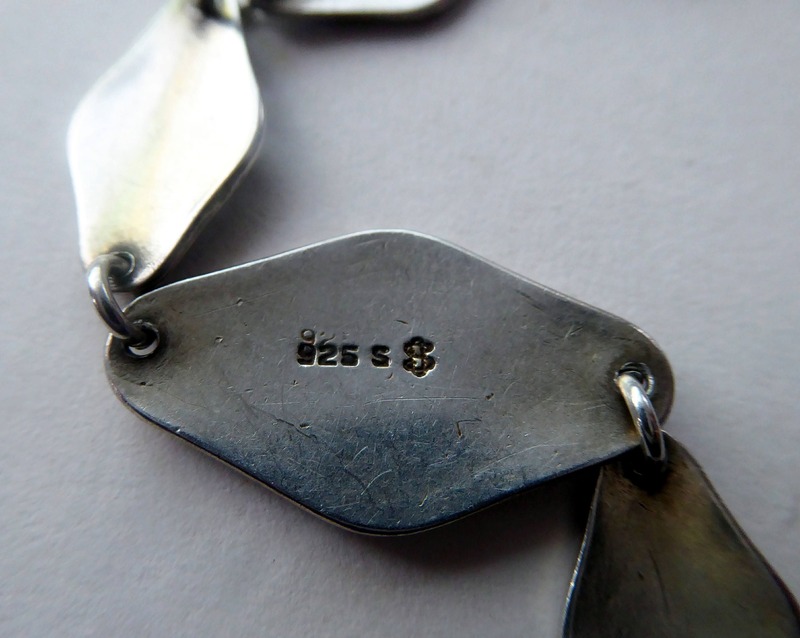 A really sweet little vintage bracelet - in excellent condition. 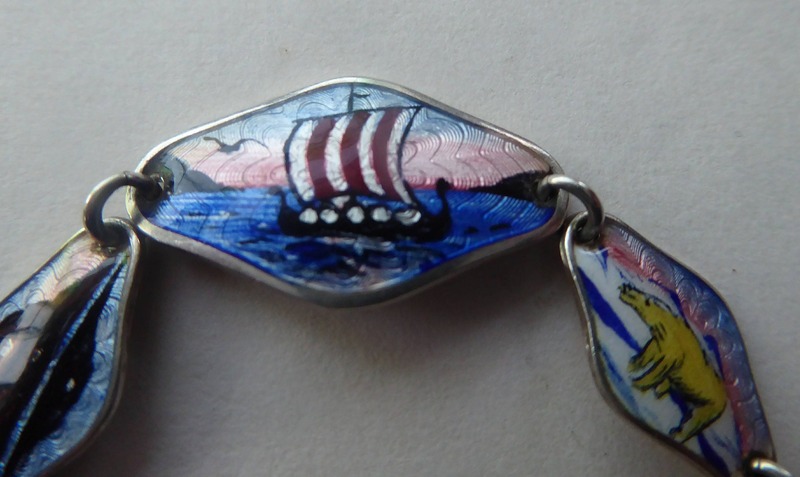 These Norwegian enamel pieces are highly collectable and have listed this pretty one at what I hope is a fair price.